Mixpanel is a business analytics service and company. It tracks user interactions with web and mobile applications and offers tools for targeted communication with them. 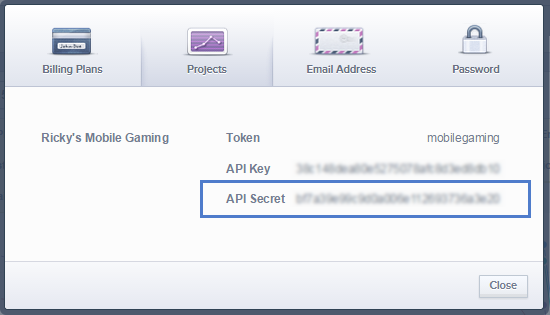 Copy your API Key and Secret into Klipfolio. Select the fields you would like to track in the drop-down menu(s) provided. 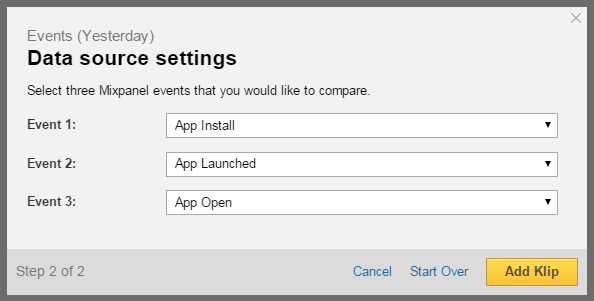 To add the Top 5 Events by Property Klip, you will need to find Event and Property names in your Mixpanel account. 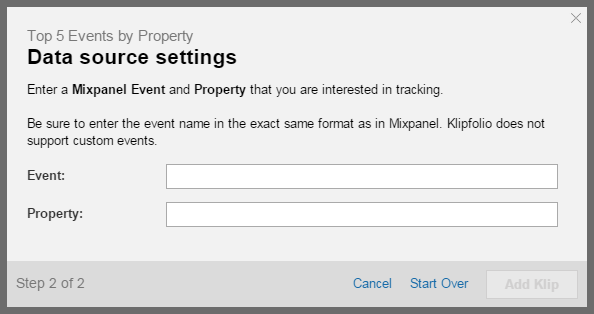 Once you have chosen an Event and Property in Mixpanel, enter the Event and Property names in Klipfolio in the exact same format as in Mixpanel. Note: The Mixpanel API does not support custom events.